Pure cornstarch is gluten-free—as you might have guessed from the name, it's a starch derived from corn, not from the gluten grains wheat, barley, or rye. Corn is a gluten-free grain. 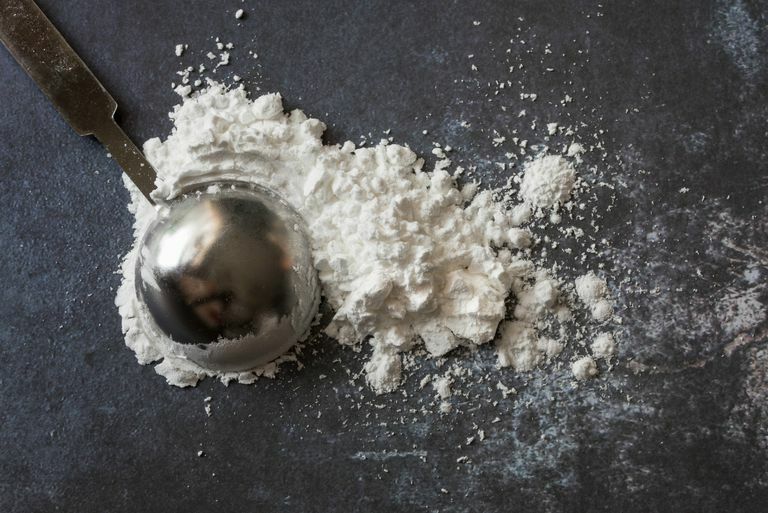 However, not every brand of cornstarch on the market is considered safe on the gluten-free diet for those who have celiac disease and non-celiac gluten sensitivity. Why Aren't All Cornstarch Brands Gluten-Free? The problem isn't the corn itself—again, corn is gluten-free. The problem is that manufacturers don't always take the steps necessary to avoid gluten cross-contamination as they're processing and packaging products like cornstarch alongside other grains and grain products. Some companies' cornstarch products are made in shared facilities or on equipment shared with wheat products like flour, and so they aren't considered gluten-free. Fortunately, there are multiple nationally distributed brands of cornstarch that are considered gluten-free. In addition, you can assume that any cornstarch used to make gluten-free-labeled products also is safe. Argo & Kingsford's cornstarch. Argo & Kingsford's makes only two products: cornstarch and baking powder (which includes cornstarch). According to the company's frequently asked questions page, both products are considered gluten-free. Argo baking powder is both gluten-free and aluminum-free. Both use GMO ingredients, according to the company. Bob's Red Mill cornstarch. This cornstarch is made on Bob's dedicated gluten-free equipment (note: the equipment also processes the company's gluten-free oatmeal, so if you're sensitive to oats, you might need to steer clear). Bob's Red Mill tests its gluten-free products to make sure they contain fewer than 20 parts per million of gluten. Clabber Girl cornstarch. Clabber Girl (a well-known manufacturer of baking powder) says that its cornstarch is "naturally gluten-free." The company makes a wide variety of dessert mixes under different brand names, but none contain gluten. It also makes a few gluten-free-labeled mixes, including banana bread, chocolate chip cookie, and brownie mix. Cream cornstarch. This brand first was introduced in 1898 in Baltimore, Md., and has been sold ever since, both in the United States and overseas. The company does not state whether or not Cream is considered gluten-free. Frontier Natural Products cornstarch. Frontier, a member-owned co-op offers cornstarch in bulk, along with a wide variety of other products (including many that contain gluten). Although Frontier has a handful of products it considers gluten-free, cornstarch is not among them. Therefore, you'd be better off getting your cornstarch elsewhere—Frontier cornstarch could be subject to cross-contamination. Hearth Club cornstarch. Clabber Girl also makes Hearth Club products, including Hearth Club cornstarch. Hearth Club cornstarch is considered "naturally gluten-free." Hodgson Mill cornstarch. Most people who follow the gluten-free diet are familiar with Hodgson Mill, which produces a wide variety of gluten-free baking ingredients and mixes. Its cornstarch is certified gluten-free by the Celiac Support Association, which requires products to contain less than 5 parts per million of gluten. Hodgson Mill cornstarch also is non-GMO. Rapunzel organic cornstarch. This is an Austrian brand that's imported to the United States. According to the manufacturer, it's processed in a shared facility with wheat products. Therefore, you may want to steer clear, and choose a safer brand. Rumford. Like Hearth Club cornstarch, this brand also is made by Clabber Girl. Therefore, it is considered "naturally gluten-free." To create cornstarch, manufacturers take corn kernels, grind them, and then wash them in order to separate the starch component from the corn's protein, fiber, and oil components. The result is a fine, powdery substance that can be used in cooking and baking. You also can use cornstarch to starch your clothes, to clean silver, to make holiday ornaments, or even to polish your car. Cornstarch appears frequently in gluten-free recipes—you can use it to thicken gravies and soups, and it serves as an important component of many gluten-free flours, cakes, and breads. It's unfortunately not a perfect substitute for flour, however. You can't, for example, use it as a cup-for-cup wheat flour substitute in a bread or cake recipe (for that, you'll want one of the many gluten-free flour blends on the market). But cornstarch excels in pie fillings and gravy—there, you won't be able to tell the difference between the gluten-containing version and the gluten-free version of your recipe.